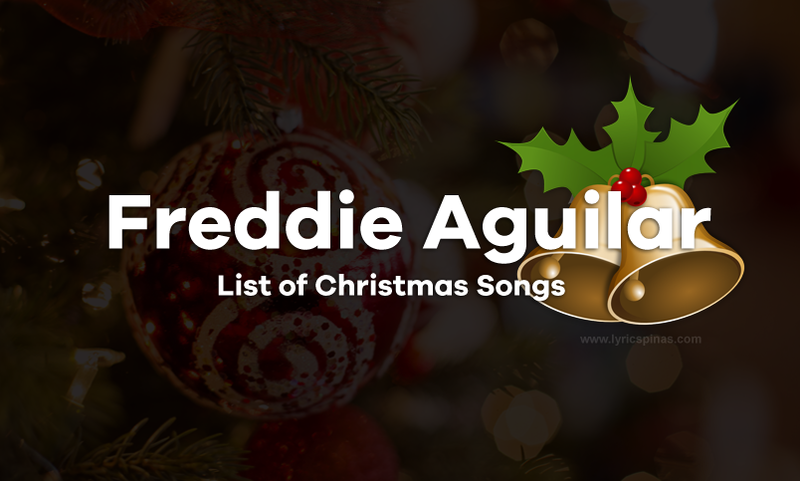 Are you familiar with the Christmas Songs played by Freddie Aguilar. The acoustic-styled "Sa Paskong Darating" (This Coming Christmas), moves at a slow, steady pace and builds wonderfully. The song tells of a man's love for a woman, which is strong whether or not it's Christmas, but has a special warmth during the Christmas season. In 1994, folk/rock singer Freddie Aguilar released Diwa Ng Pasko (Spirit of Christmas), a Christmas album. The ballad, "Pasko Ang Damdamin" (The Feeling of Christmas), tells of the joyfulness a worker feels in coming home from an overseas job to see his family for Christmas. The songs are sung in Aguilar's depth-filled, passionate manner, which has become a trademark for him. "Pasko Na Naman Kaibigan" (It's Christmas Time Again) moves on a spirited gait, while the instrumentation to "Sa Araw Ng Pasko" (In the Day of Christmas) has a swinging, '50s-styled ambience to it. Have something to add to this song list? Share it in the comments.